Tuesday's lawsuit by longtime Fox News contributor Rod Wheeler places the Seth Rich conspiracy theory right inside the White House. Press Secretary Sarah Huckabee Sanders deflected inquiries on the matter at Tuesday's briefing, saying, "The president had no knowledge of the story and it's completely untrue that he and the White House were involved." The suit contains shocking allegations, but when viewed in the context of President Trump's conspiratorial thinking, it is not entirely surprising -- and Huckabee Sanders said at the briefing that she is "not sure" whether Trump believes this particular conspiracy theory to be true. The president has previously promoted conspiracy theories about widespread voter fraud and illegal wiretapping. What he lacks in evidence, he compensates for in volume of tweets. Trump has never tweeted about the Rich case. But some of his media allies, including Sean Hannity and others at Fox News, trumpeted it in May, at the exact same time the president was facing widespread criticism for firing FBI director James Comey and for revealing highly classified information to Russian visitors in the Oval Office. On May 16 FoxNews.com published a story that claimed to support aspects of the pro-Trump conspiracy theory. Fox later retracted the story, but only after days of coverage on TV and online. Many details from Wheeler's suit, in which he claims that Fox defamed him by misquoting him to push the story, are in dispute. But one part is confirmed: Sean Spicer met with Wheeler and Republican donor Ed Butowsky and talked with them about Rich. Spicer was White House press secretary when the meeting happened back in April. 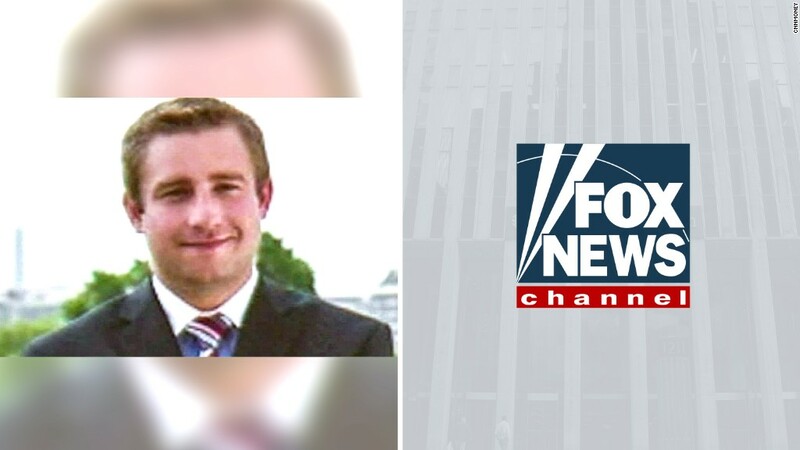 Rich, who worked for the DNC, was murdered in Washington, D.C. in July 2016. The case is unsolved. Police have said they believe that Rich's death resulted from a botched robbery attempt. But conspiracy theorists have promoted a wholly different idea -- that Rich was killed because he provided DNC emails to Wikileaks. The most extreme theories attempt to tie the killing to Hillary Clinton. The overall thrust of the conspiracy theory is that Russia wasn't behind the hacking, and thus there's no reason to think that anyone in Trump's orbit colluded with anyone from Russia. The lawsuit asserts that Butowsky arranged the meeting at the White House. Butowsky had previously offered to bankroll Wheeler's investigation, with the intent, Butowsky has said, of helping the Rich family get closure by solving the case. Spicer confirmed the meeting and Butowsky's role in it to NPR, which broke the news of the lawsuit on Tuesday, and subsequently elaborated to CNN: "He asked for a 10 minute meeting, with no specified topic, to catch up and said he would be bringing along a contributor to Fox News." Spicer suggested that he said yes to the meeting because Butowsky is a "longtime supporter of the president's agenda who often appears in the media." Sanders said on Tuesday that "the president had no knowledge of the story," contrary to a text message from Butowsky, quoted in the lawsuit, in which he said that Trump had read a draft of it ahead of time. Butowsky now says he was joking about that. Spicer said in an email to CNN that "the White House had nothing to do with his story." But at the very least, Butowsky and Wheeler sought to inform Spicer about it. The lawsuit claims that Spicer "asked to be kept abreast of developments" and "Butowsky did." Butowsky has connections to other White House officials, including chief strategist Steve Bannon, and was photographed visiting the White House briefing room back in March. Tuesday's suit by Wheeler claims that Butowsky "kept in regular contact" with Bannon "regarding his efforts relating to Seth Rich." Sanders' statement seemed to challenge that. Either way, the White House benefited when Fox's phony story landed on May 16. It was exactly what Trump needed at the time: a counter-narrative to a crush of damaging stories.